It’s a dilemma for a lot of entrepreneurs – when you are in the service or web-based industry, you desire a tangible product, and when you have a tangible product, you desire to be in the service or web space. You know, a classic case of “the grass is always greener.” This change of heart so-to-say may happen as a result of a life event, or simply having the urge to start something new. For me, these feelings came flooding in with the birth of my son about five years ago. I can remember vividly the joy my wife Laura and I felt when we became parents for the first time. At the same time, I can remember even more vividly the doctors telling us that our son may be blind. Jonas was born with a rare disorder that causes near blindness. Laura and I found it tremendously hard to cope with the idea that he may never see the world as we do everyday. It took 21 surgeries for Jonas to obtain low vision – and after, we were quickly faced with another hurdle – finding him glasses. 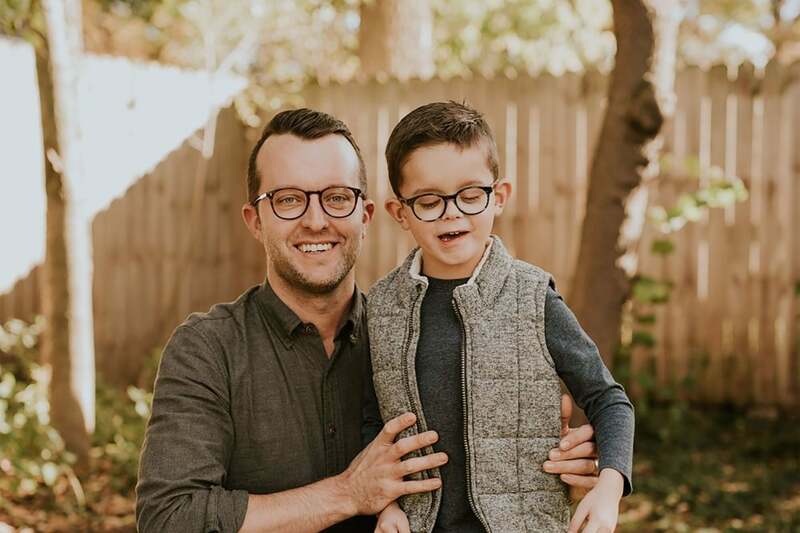 If my son was going to have to wear glasses at a young age, I was determined to find the perfect pair that would make him feel like a little “stud muffin” in them. That was our lightbulb moment. We could do this for Jonas — we could launch a line of cool and functional glasses that would help all kids, not only Jonas, feel confident in their frames. That’s how Jonas Paul Eyewear was born, and how I got my start in a product-based market. I can say with confidence our sweet boy changed the direction of our lives and gave us the vision we needed to bring us where we are today. So here I am, to help provide vision, like Jonas did for me, as to what you can expect and what you should plan for, cope with and ultimately overcome as you work towards bringing your dream product to market in today’s saturated world of physical goods. This is most likely the largest hurdle for anyone who is developing a custom product. Fortunately, the world is shrinking with websites like Alibaba, where you can identify potential manufacturers, and companies like Intertek that provide social compliance audits, so you can confidently move forward with the sampling process. In today’s socially conscious world, make sure you do your due diligence in this early stage, as it can avoid many potential issues down the road. Manufacturers that are socially compliant may be slightly more expensive but will save you money down the line. They will be more trustworthy, will attract better talent and they won’t have issues with employee retention, etc., that could delay your production in the future. Not to mention that it is the ethical thing to do in the product space. Product development is daunting, but when you find the right manufacturer they will have the resources and talent you need to get to a prototype, whether you come to them with drawings on the back of a napkin or full CAD renderings. Be sure to invest in safety and materials testing; it will add to the cost upfront, but an unsafe product or a recall on your product could be devastating to your venture. Projected Capital. The cost of materials varies with the number of units produced, so it’s helpful to project potential volume to estimate the capital/runway needed to realize the revenue from the products. Freight Fees. Freight varies with the number of units produced, but you can typically get a pretty good feel for cost, time in transit, and duties costs with a little research and simply asking your manufacturer. Material Costs. Rising material costs could affect future profitability, especially if your product contains certain commodities. Pull historical data on the materials and their availability to see if you need to adjust the composition of the product to ensure availability and more stable costs. Production Costs. Keep in mind there will be an unavoidable, incremental increase in costs when you ramp up production. Warehouse Fees. Where are you going to keep your product inventory? More than likely, you’ll have to pay warehousing fees for storage. Insurance. You always want to make sure you’re covered! Sales Processes. Once your product is produced, you’ll also have to account for the costs related to direct labor to get your product to the customer. More specifically, think of worst case scenarios. Oftentimes this involves a deep dive into the manufacturer and the supply chain. Is the manufacturer financially stable and able to whether economic downturns? Do natural disasters affect the production or delivery? Is the government stable in the country of origin? Do national holidays conflict with higher seasonality times in the industry? Should you consider splitting the production between two manufacturers to ensure you have a backup manufacturer that knows how to produce your product?